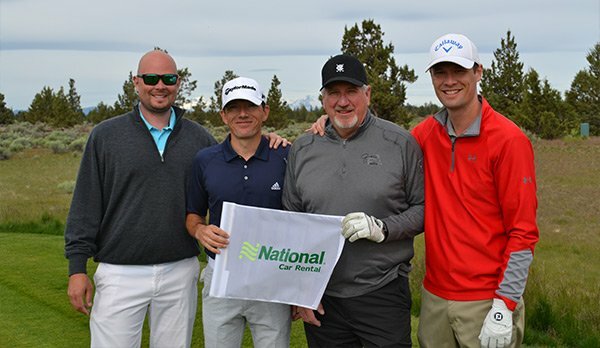 PGA Professional Russell Grove of North Idaho College won the Oregon Open Invitational featuring the National Car Rental Pro-Am at Juniper GC by 6 strokes. This is Grove’s first PNW PGA major. He took home the title and the $7,500 first place check. Grove is a college coach at North Idaho College of both the Men’s and Women’s teams. In second place was 2010 Champion Derek Berg of Sahalee CC. Low amateur honors went to Reid Hatley from Hayden Lake CC. Congratulations to PGA Professional Matt Epstein of Inglewood GC who made a hole-in-one on #8 today. He dunked a 7-iron for his ace. Grove will be representing the Section next week at the 50th PGA Professional Championship presented by Club Car, Mercedes-Benz and OMEGA at Sunriver – Crosswater Course. He will be joined by Ryan Malby of Ironhorse GC, Scott Erdmann of Oswego Lake CC, Corey Prugh of Manito G&CC and Tim Feenstra of Broadmoor GC who all finished in the top-40 this week. Winning the National Car Rental Pro-Am team best two of four net competition was the team consisting of PGA Professional Shane Prante of Lake Spanaway GC, PGA Professional Liam Kendregan of The GC at Echo Falls, amateur Rick Schott of The GC at Echo Falls, and amateur Travis Paul of Portland GC. 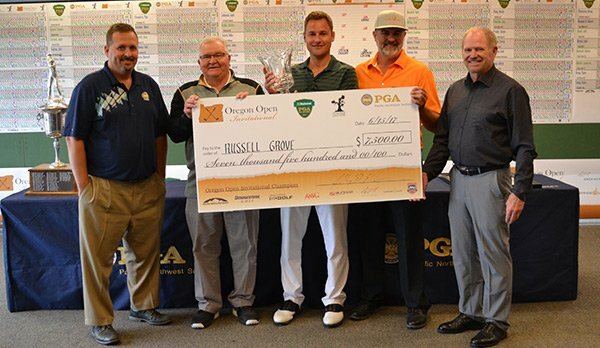 Russell Grove and amateur Ross Gilbert of Emerald Valley GC won the Four-Ball competition. They fired a 66-63-129 to win by one stroke over Shane Prante and amateur Travis Paul. The Pacific Northwest PGA is proud to have a supporting field of sponsors including National Car Rental, Bridgestone Golf, Sun Mountain Sports, Greg Norman Collection, AMA Golf, Sun Dog, Skechers Golf, Orange Whip and Abby’s Pizza. This championship dates back to 1905 when sheep mowed the fairways at Waverley CC. 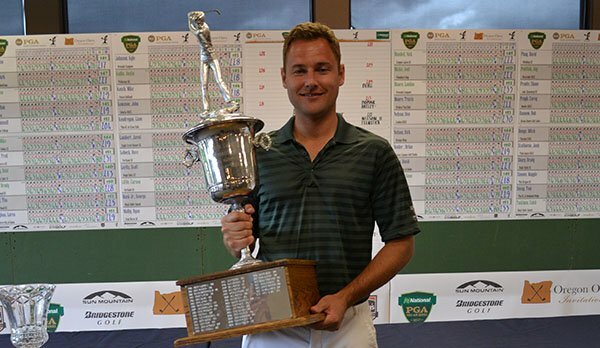 George Smith, a Scot from Oakland, CA won the Oregon Open’s inaugural championship including a course record 74. Little did he know that some of golf’s most prestigious names were to follow in his footsteps such as Tommy Armour, Horton Smith, Chuck Congdon, Bob Duden, Bill Eggers, Jerry Mowlds, Pat Fitzsimons, Rick Acton, Peter Jacobsen, Jeff Coston, and Mike Davis. And only three men have won the title three or more times; Bill Porter (3), Rick Acton (4), and Bob Duden (8). The tournament scoring record is held by Brian Nosler at 198, set in 2009 at Brasada Canyons. Juniper GC originally opened in 1952 as a 9-hole course. In 1987, PNW PGA Hall of Fame member Tim Berg redesigned the course into an 18-hole layout. The current layout was designed by the late esteemed golf course architect John Harbottle Jr. in 2005 and honored by Golf Digest as one of America’s Best New Courses in 2006. Additionally, Juniper has been rated one of the “Best Places to Play” in Oregon by Golf Digest.